In this world there are two kinds of acne: the bad kind, located on our faces, and the good kind, with a capital ‘A’. Acne is any style-obsessed girl’s go-to for super cool sweaters and kits with the brand’s trademark boyish cuts and Swedish minimalism. 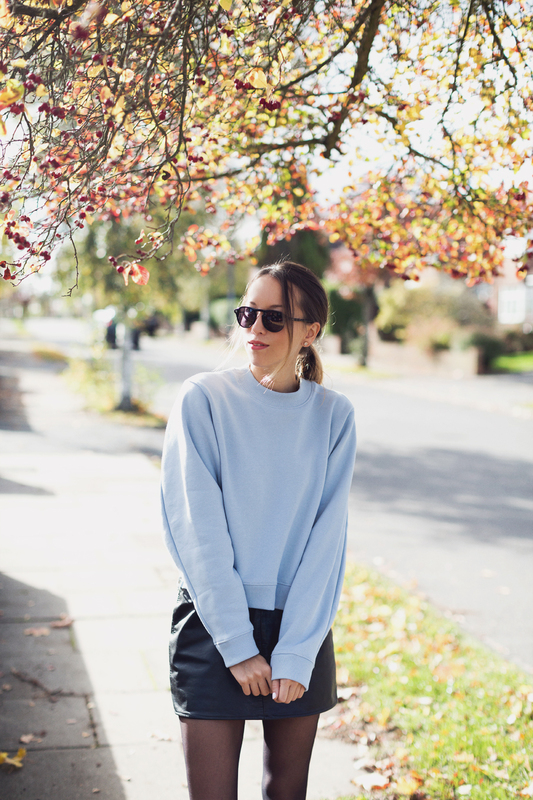 As soon as I put my ice-blue sweatshirt on I feel transformed into a much cooler version of myself, and just want to keep my style ultra clean and simple with a leather miniskirt, boots and sunnies. Even my hair feels the need to be paired back into the easiest of ponies! A big thank you goes to the lovely Matches Fashion and Shop Sense for sending me my new boyfriend *cough* sorry I meant sweater as an early Christmas present. You guys are the best! I know it’s early, but I’ve already been thinking about the Christmas treats I need to buy too – you can never be too prepared! The moment the leaves turn golden and the sun slides lower across the sky, my thoughts instantly turn to the upcoming winter and all the exciting Christmas festivities to come. I love to shop around, take my time and really find the perfect gifts for each of my friends and family, but when it comes to fashion goodies I’ll always look online. It’s much quicker and there is just so much variety – you’ll always stumble upon something new and it’ll be just what you were looking for. 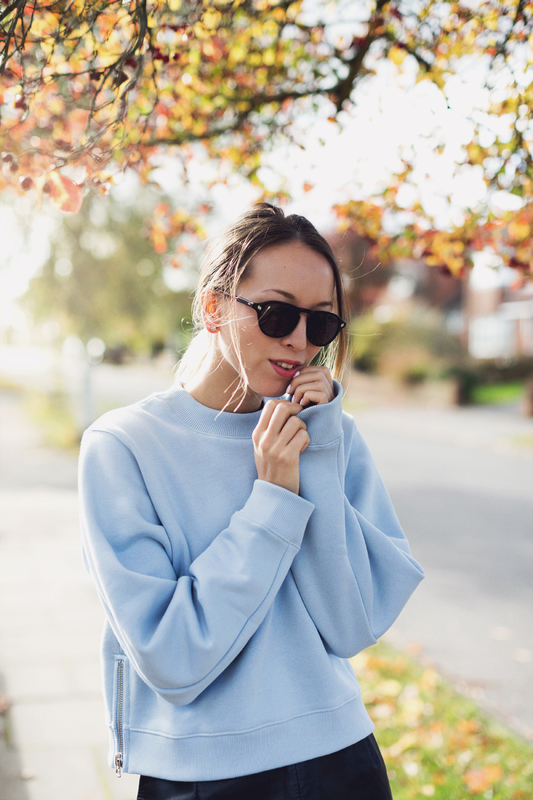 One of my favourite online stores is Matches Fashion, and this season I’ve teamed up with them to create my ultimate gift guide, featuring the most styling gifts for the most stylish girls. Their boutique is full of the latest clothes and accessories from the best designers. A word of warning: shopping for gifts at their store will make you want to buy everything for yourself. Oops! But if you can practice a little restraint (or why not treat yourself? It’s only fair you get yourself a Christmas present too!) then there are so many little treasures to discover. For example, this gorgeous Isabel Marant necklace is only £140, perfect for a girl with a touch of boho to her style, or for a timeless piece go for something like this beautiful Michael Kors watch. I’d be super happy to receive either of those at Christmas myself! 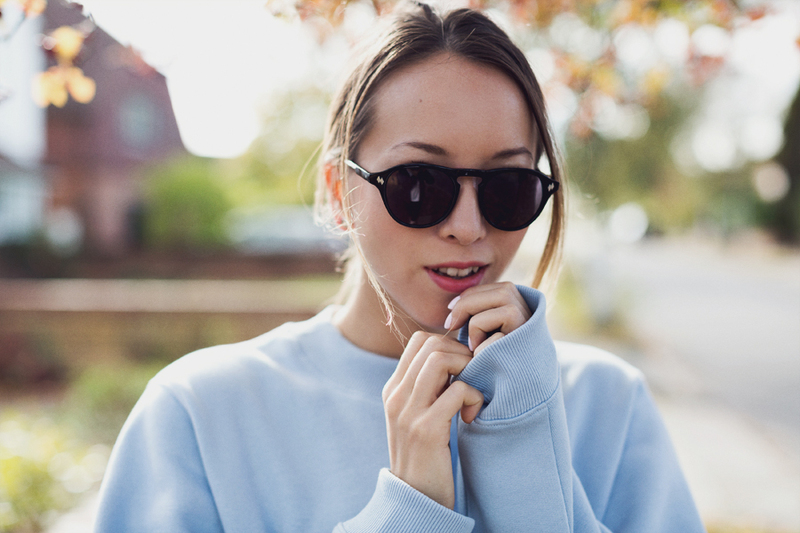 Awesome to see you rocking the Scandi minimalism lovely – you look awesome! Was undecided about which ACNE piece to invest in this season, but you’ve just gone and sold me on one! this is so pretty! xO! You look beautiful! Love this outfit especially the boots and the sweater! Omg, I love those shoes, superb! i absolutely love the colour of this sweater, icy cool! That sweater is gorgeous, I love the blue! I think I’ve fallen in love with that jumper! 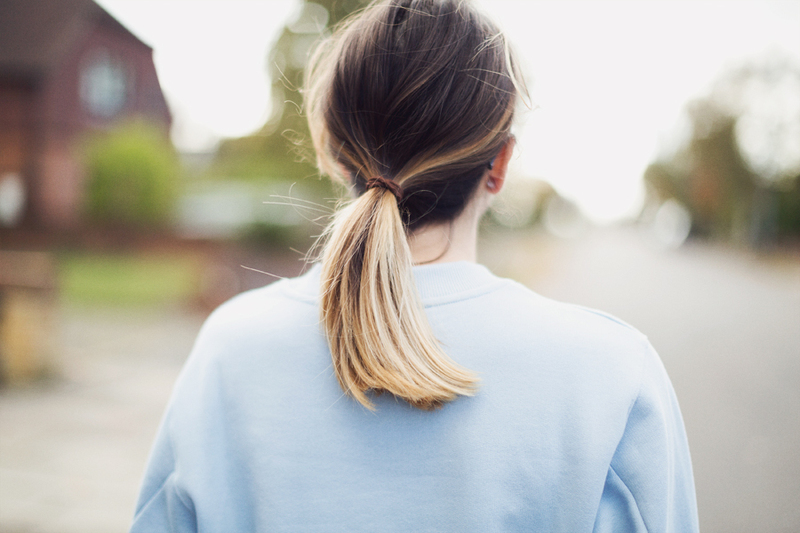 The blue sweater is a classic. This reminds me the holiday shopping season is coming upon us quickly.